A sizzling first run saw Nick taking over a minute out of most of the field, and although he lost several places on the bike to some demon time trialists, his second run redressed some of the balance bringing him to a finish just shy of the podium in 4th place. This year, the European Duathlon Championships were hosted by the city of Kalkar, Germany, though actually took place in and around a theme park called Wunderland, something which added to the unique feel of the event. 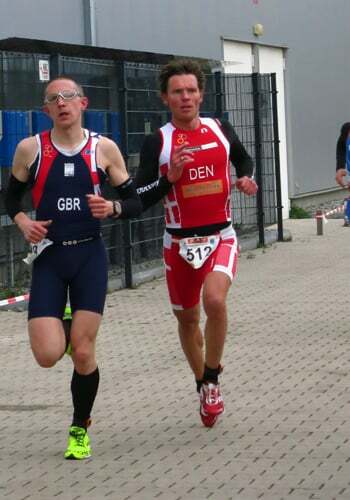 Nick – I’m obviously frustrated to miss out on a podium, but as a previous medallist in European and World Duathlon Champs, I can take some positives forward into the Worlds in 6 weeks time. I feel the draft legal format of the Worlds will benefit my style of racing and the Europeans proved I’m still amongst the fastest running duathletes out there, something that should come to the fore at the Worlds.